It occurred to me that I would need a name that told a story, something catchy, marketable and somewhat subliminal. Since my vision has always been to help inspire people, the obvious choice was a couch. Why? Well, when you go and see a psychologist, you end up on the couch… Amusing, yes, but lets delve a little deeper. Think about the symbolism that a couch could represent. It’s where families gather, where some of us had our first kiss, the center of any home, a couch is where people sit and talk, and cry, and even sleep; its the mantle piece of any home, it radiates warmth, comfort and security. And with such positive associated traits, I had the first part of my story. Now then, the ‘striped’ part was a the real challenge. It too, needed to have some tenor behind it and so I began the whole ‘brain storm‘ process. Believe it or not – it started with a butterfly. 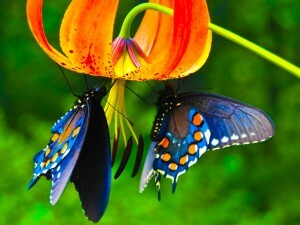 For inspiration I typed “beautiful photos” into Google and one of the pictures that came up was that of a butterfly. It resonated with me for some reason, I don’t why but the image was so vibrant and vivid in colour and so striking and alive that it stuck in my head. With the word “butterfly” in my mind map I went all over the place and eventually I arrived at cocoon and from there I whittled it down to caterpillar. A stripy caterpillar! And the rest just fell into place: what does a caterpillar represent? Transformation. Voila! ‘thestripedcouch’ was born. There was much anxiety attached to checking whether or not the domain name had been taken but once I discovered that it was an original creation, a sense of relief washed over me and was swiftly followed by a jubilant fist pump. So there you have it. A title that tells a story.